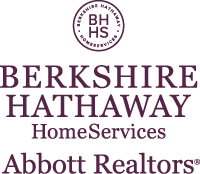 At Berkshire Hathaway HomeServices Abbott Realtors, our commercial real estate specialists are highly qualified in the commercial real estate field and will provide accurate information with integrity and honesty. We are a comprehensive, full service real estate brokerage. We focus on providing customized solutions for each client, exceeding their expectations on every commercial transaction. Whether buying or selling, we understand the current market, identify your needs, goals and work with you throughout the entire process. We offer a full range of commercial services to Investors, Property Owners, Landlords, Buyers, Tenants, Builders and Developers. We are a service driven organization whose professional team of agents and hands-on management provide effective, sound solutions for every transaction regardless of the size, use, or type of property. We strive for excellence in everything we do so you can achieve your goals effortlessly and successfully. Licensed in New York and New Jersey, we cover more ground for our clients providing maximum exposure of properties and broader options for real estate investment. We provide exceptional sales, leasing, marketing, management and consulting support for all commercial real estate transactions. As a client of ours you will have an advantage in today's aggressive and lucrative market. We continually fulfill our motto: "Invest With the People Who Care".